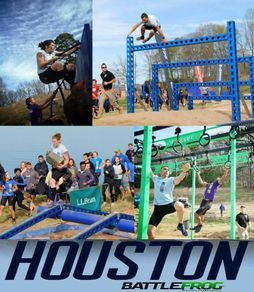 Through Obstacle Course Racing (OCR) our athletes have made appearances on major networks and international broadcasts. This includes not only televised races but also news programs, OCR based TV competition shows and more. Amy "Magic" Pajcic is a regular on American Ninja Warrior appearing in five seasons so far (ANW Season 6-10) and making it as far as the Las Vegas Finals. Lauren Woodcock has also each appeared in one season. 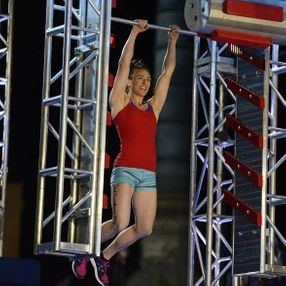 Michelle Warnky is also a regular on American Ninja Warrior with six appearances on the show so far, with five of those making it all the way to the finals in Las Vegas. 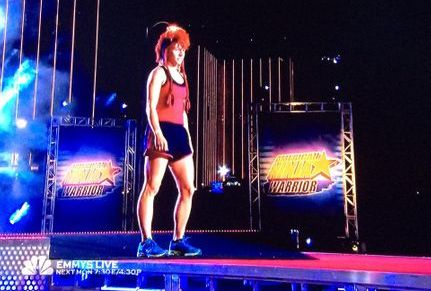 Michelle has also appeared on Team American Ninja Warrior as part of Team Lab Rats. Amy Pajcic on Season 6. Amy Pajcic on Season 7. Amy Pajcic on Season 8. Amy Pajcic on Season 9. 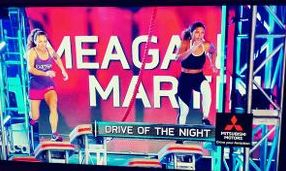 Michelle Warnky on American Ninja Warrior and Team American Ninja Warrior. 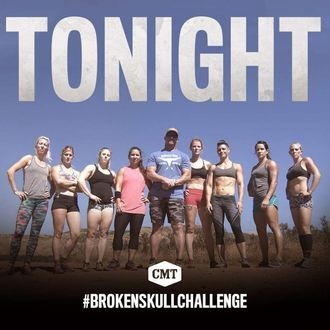 Ashley Samples, Brenna Calvert and Lucas Pfannenstiel have all appeared in episodes of Broken Skull Challenge. Brenna Calvert was also called back for the All Star Episode several seasons later. Brenna made it to the final pit before running the obstacle course but was eliminated on both of her appearances. 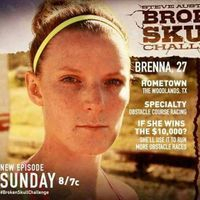 Ashley Samples on Season 2 Episode 6 of Broken Skull Challenge. 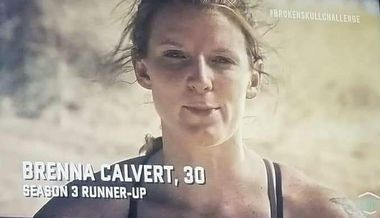 Brenna Calvert on her first appearance on Broken Skull Challenge..
Brenna Calvert, Lisa Nondorf and Jay Flores all competed on the only season of the BattleFrog League Championship. 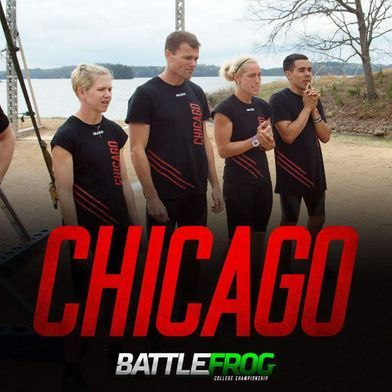 Brenna was on Team Houston, while Jay and Lisa were on Team Chicago. Jay and Lisa's team made it to the final episode but came up a little short in the end. The Conquer The Gauntlet Pro Team had several athletes competing on both the first and second seasons of Spartan's Ultimate Team Challenge. 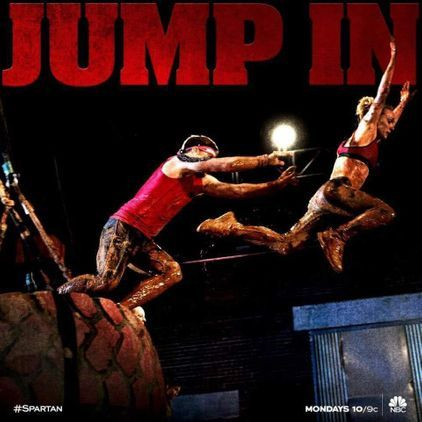 On Season 1, Amy Pajcic and Matt Willis both led teams that were ultimately eliminated. On Season 2, Nathan Palmer led the team Saddle Up to a strong showing making it through several rounds but also getting eliminated before the end. Amy Pajcic as One Step Ahead team captain on Season 1. Matt Willis as team captain on Season 1. Nathan Palmer as team captain of Saddle Up on Season 2. 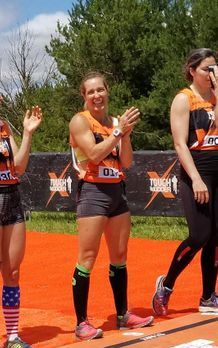 Both Lauren Woodcock and Lisa Nondorf had brief appearances on the CBS Televised Tough Mudder X in 2017. Conquer The Gauntlet Pros Nathan Palmer, Matt Willis and Nathan Palmer have all appeared in the YouTube show OCR Warrior competing for the title. OCR Warrior Kansas City Preview episode featuring Nikki Call, Cody Peyton, Nathan Palmer, Matt Willis and Evan Perperis. OCR Warrior Kansas City Qualifier episode featuring Cody Peyton, Nathan Palmer, Matt Willis and Evan Perperis. Evan Perperis shown on Lebanon's The Hannibal Race live coverage in December of 2015 where he finished 5th overall. Evan Perperis on a live post-race interview. 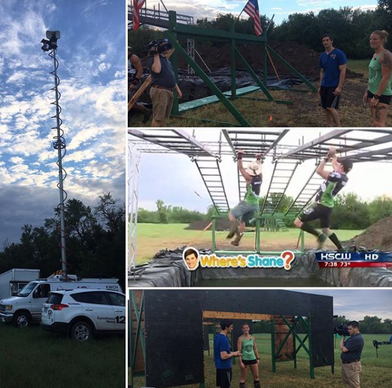 Brenna Calvert and Evan Perperis shown in live race coverage from Lebanon's first OCR World Championship Qualifying event, the Hannibal Race. Brenna finished 2nd getting a pre/post race interview as well as some air time of her going through the final gauntlet of obstacles. Evan finished 8th also getting some airtime on the final obstacles and a post race interview. Evan Perperis in a post-race interview wearing his Conquer The Gauntlet sleeves. Brenna Calvert on her way to 2nd place at Lebanon's first OCRWC qualifying event, The Hannibal Race. 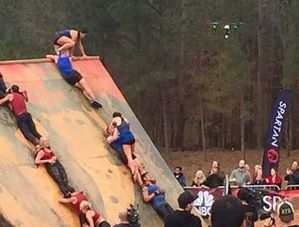 Nathan Palmer was on the only season of Hard Charge, a televised Obstacle Course Race. He raced the July 5, 2014 race and ended up finishing 3rd overall and 1st in his age group. 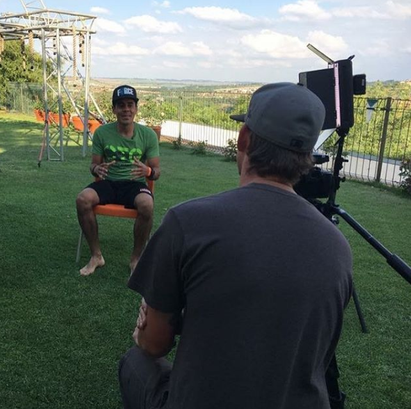 Jay Flores interviewed for a South African News channel in 2017 for being one of the first international athletes to successfully complete all obstacles at the Warrior Race. Bryce Robinson show on Tulsa's Channel 2 news balancing on a pipe at Freedom Fest 2017. Three segments aired highlighted Brenna Calvert, Nathan Palmer and Evan Perperis talking about CTG, obstacle technique and completing obstacles. 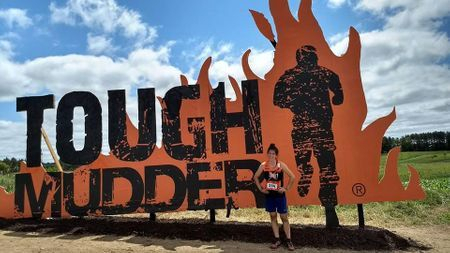 Tulsans push themselves to Conquer The Gauntlet: Video from event day shows Jay Flores completing Stairway to Heaven and an interview with the female champion Brenna Calvert.